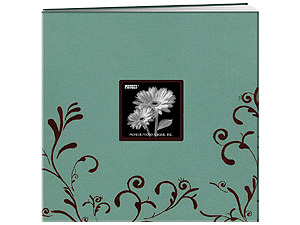 Stylish and washable 12x12 scroll frame fabric scrapbooks include 10 top loading clear sheet protectors with white paper inserts. Availability: Ground orders usually ship in 1-2 business days except Aqua & Brown (Out of Stock). Add To Cart to view ship rates and delivery dates.